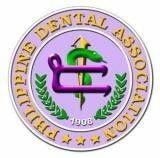 The Philippine Dental Association is a non-stock, non-profit association founded in 1908. The PDA has its own Constitution & By-Laws and is duly registered with the Securities & Exchange Commission. Its operation is guided by Republic Act 9484 and the Regulatory Code of Dental Practice.